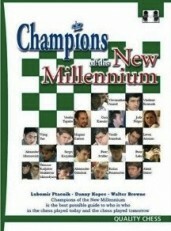 In Champions of the New Millennium three accomplished authors present the eighteen best chess players in the world today. Each player is introduced with an illuminating profile, and then four of his or her finest games are explained in depth. These players are: The current top ten: Anand, Kramnik, Topalov, Morozevich, Svidler, Mamedyarov, Shirov, Leko, Ivanchuk, Aronian. The stars likely to dominate the next decade: Karjakin, Carlsen, Radjabov, Wang Yue, Ponomariov and Grischuk. The best female player ever, Judit Polgar. And finally, World Championship finalist and comeback kid, American star Gata Kamsky. 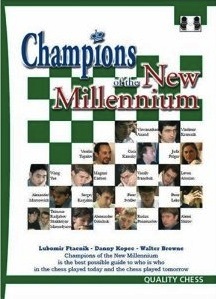 Champions of the New Millennium is the ideal guide to who's who in modern chess. 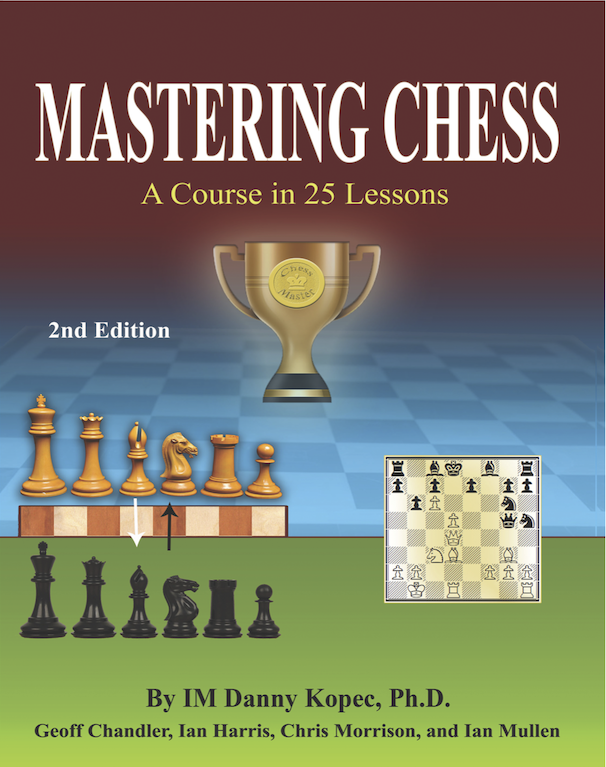 Mastering Chess is a unique book in that it covers the essentials which every aspiring chess player must know well (from Novice to Expert) to reach the chess Master level. The first edition was popular for some 20 years (from 1985 - 2005) while in print with four different publishers (including Pergamon/Oxford, Cadogan and Everyman/London, Dover / Mineola, NY). 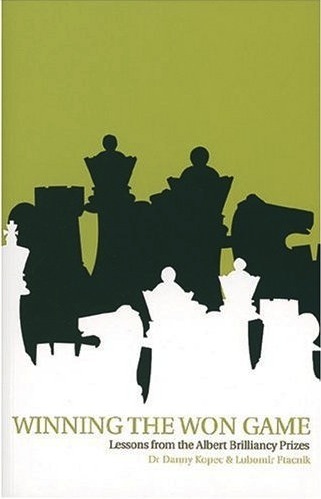 It has been rated one of the five best chess books of its kind. Each Chapter of this new edition has new material added and the book has essentially doubled in size. Each Chapter includes new Exercise positions with solutions. 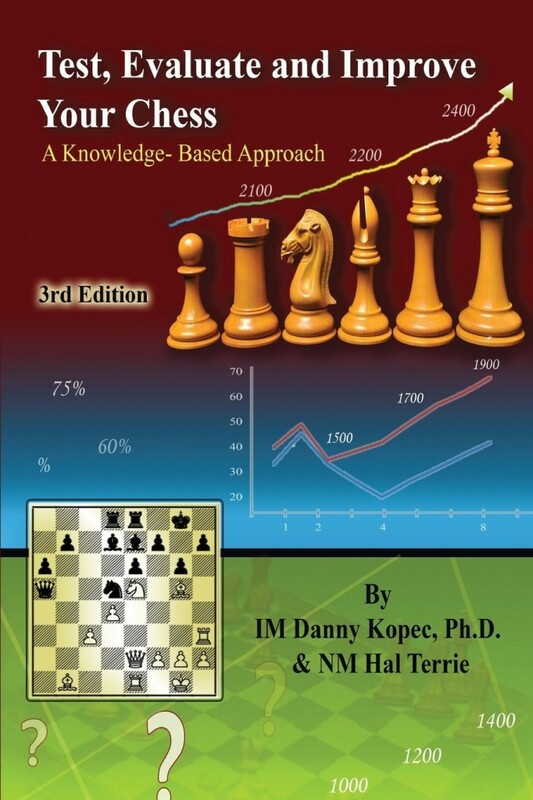 Besides being a self-study self help book, it was designed for chess teachers and chess courses. First there is a spritely written 1st Chapter on Tactics and Combinations by Geoff Chandler of Edinburgh Scotland. Mr. Chandler has updated his popular work with observations of play and missed opportunities from Internet play. The 2nd Chapter introduces a new author (Life Master Ian Harris) and a new approach to how openings can be learned. It presents Dr. Kopec's idea that openings can be learned from the perspective of the following five goals: 1) Development 2) Center Control 3) King Safety 4) Space and 5) Material Balance. 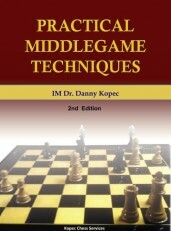 Dr. Kopec has been expousing this idea for a number of years in his lectures and chess camps. If effective, it is a novel way of teaching a subject that entails volumes and volumes of books over a number of centuries! Mr. Harris has developed this Chapter spanning some 50 pages in conjunction with Dr. Kopec. Dr. Kopec has added new material to his Chapter 3: How To Analyze a Position including lessons on the topics: The Point Count Method, Grand Central Station, and Don't Believe Everything Your Computer Tells You. New exercises have also been added at the end of this Chapter. 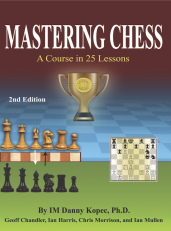 Chapter 4 (by Chris Morrison) has also been extended with an additional lesson entitled "Good and Bad Pieces" and number of additional exercises. Chapter 5 (by the late Ian Mullen) has been extended with a lesson entitled "More Advanced Endings". This Chapter has always proven very useful for teachers and courses on the endgame. The material is suitable for players from Novice to Master! 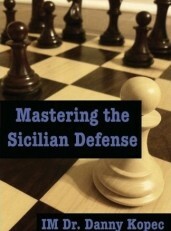 Quite simply put – the Sicilian Defense is the most popular and most complex of opening systems in chess. It has been the favorite of top players throughout modern times. There are a number of systems and variations to choose from such as the Scheveningen, Dragon, Najdorf, Boleslavsky, Kan, etc. 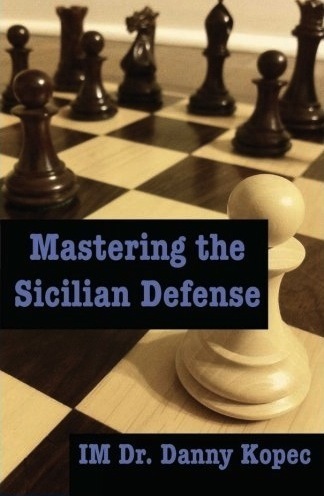 There are also a number of sharp, complex, theoretical systems and that is why it is aptly named “The Sicilian Jungle.” IM Dr. Danny Kopec’s addresses the problem of trying to simplify the complexities of the Sicilian Defense from the perspective of STRUCTURE – that is, sound structures for Black, particularly for the endgame. 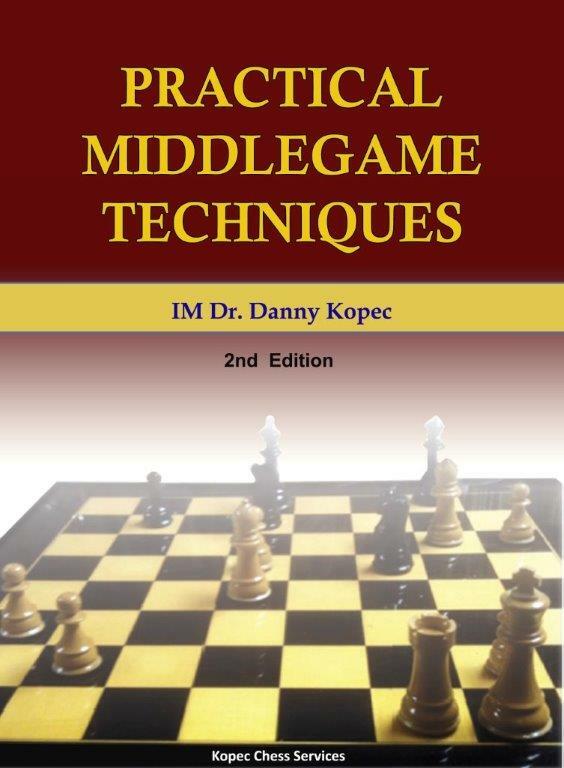 Dr. Kopec uses a unique method which he calls “Mastery Lessons” to guide the learner towards pawn structures and piece configurations which have been demonstrated to lead to success in certain Sicilian variations. This approach, developing “heuristic packets”, helped to achieve master level play in his work with computer chess programs. 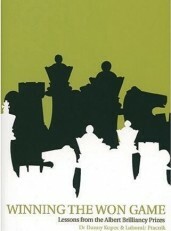 Covers 64 chess games awarded the Brilliancy Prizes at the US Championships between 1982 and 2002. Men's and Women's Championships. Deeply annotated games. 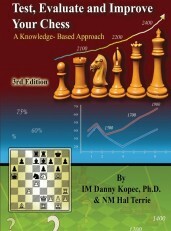 Includes "Brilliancy and Technique Tables" rating the games for their Brilliancy and level of technique. Should be very enlightening and enjoyable, but not for beginners.